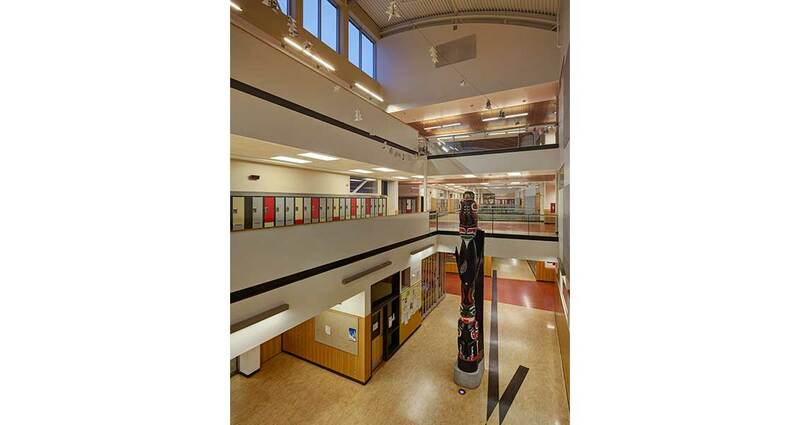 This project involved replacing over 90% of the existing Carson Graham School for the North Vancouver School District #44. 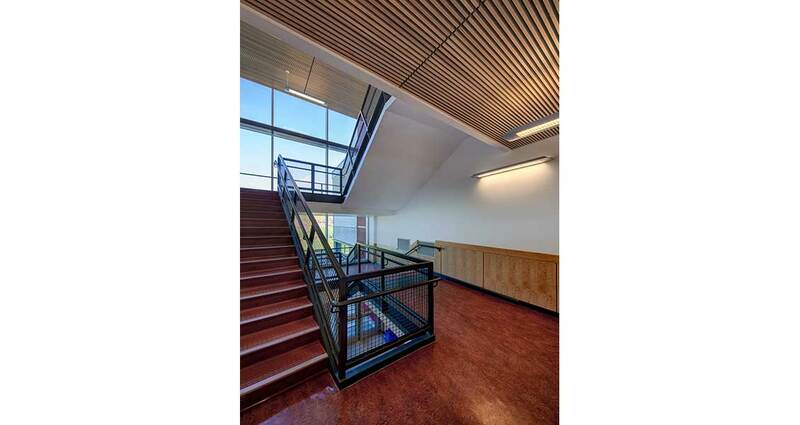 The building footprint was drastically reduced, thereby increasing area, energy efficiencies, and open landscape areas. 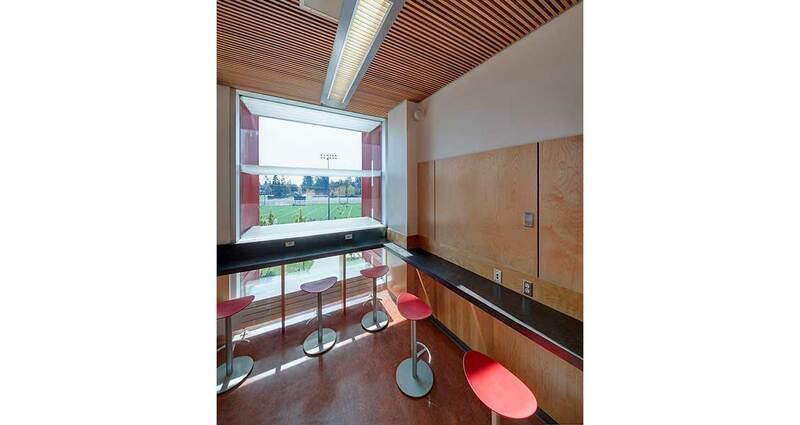 The volume of the resulting three-story building has been manipulated to draw in natural light to the lowest levels and heighten student interaction. The new secondary school will cater to 1100 students. 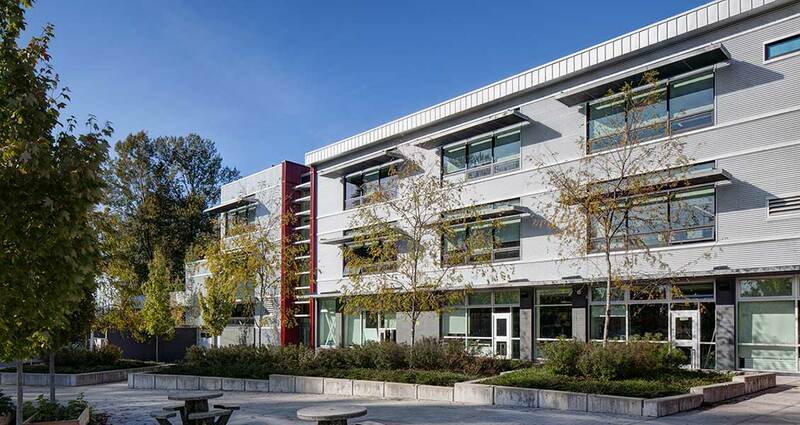 Carson Graham is targeted to achieve LEED® Gold Certification by incorporating features such as high-performance roof, wall and window assemblies, a displacement ventilation system, high-efficiency condensing boilers, energy-efficient lighting, clerestories, and windows. 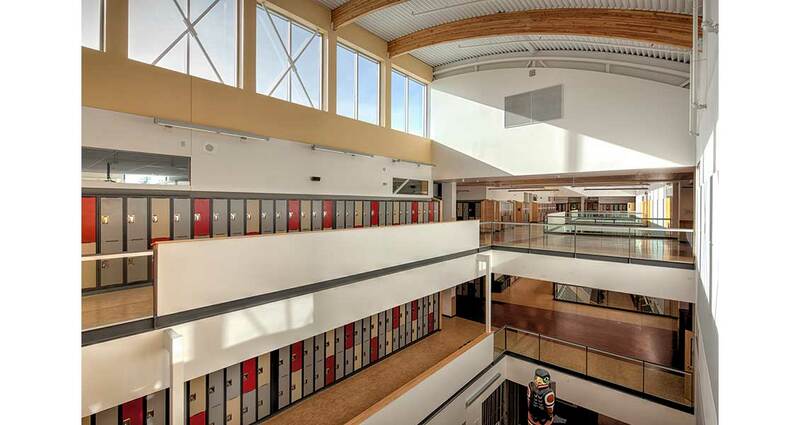 A high percentage of recycled, regional materials and Forest Stewardship Council certified wood also contributes to the sustainable features of the new school.